Israeli warplanes at dawn Sunday bombed several sites and agricultural lands in different areas of the Gaza Strip. According to the Palestinian Information Center (PIC) in Gaza, more than 13 air-to-surface missiles hit training sites belonging to the Palestinian resistance as well as cultivated plots of land. PIC reporters said there were intensive overflights in different areas of Gaza, adding that the resistance opened anti-aircraft fire at the warplanes. 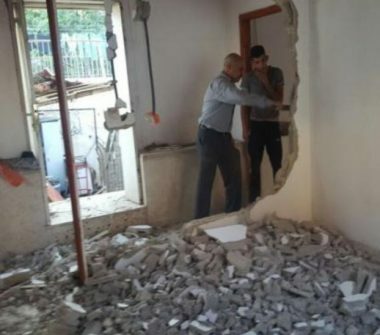 Several homes near the bombed areas sustained some damage, with no reported casualties. Facebook has expanded its ad map to reach Israeli settlements located beyond the 1967 borders, following a complaint by an Israeli official, according to media reports. The social networking site has amended its policy to include Jewish neighborhoods located outside the 1967 borders in ads targeting residents of Occupied Jerusalem, according to Israel Hayom newspaper. The newspaper said that Israeli Deputy Foreign Minister Tzipi Hotovely filed a complaint after learning that Facebook ads are limited only to Jerusalem neighborhoods within the 1967 borders. The 1967 borders refer to the boundaries of the Palestinian state that existed before the war in which Israel occupied the eastern part of Jerusalem city, the West Bank and the Gaza Strip. Companies that advertised products or services to Israelis on Facebook were able to target only Israelis living inside the Green Line. 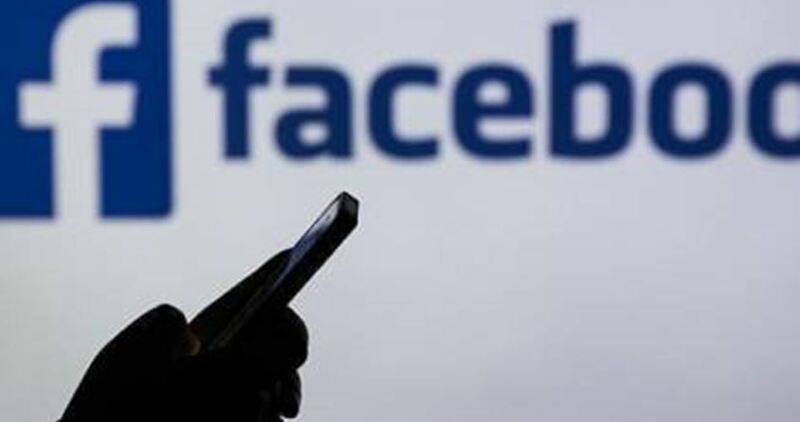 After learning of the issue from Israeli news site “Hottest Place in Hell,” which allegedly encountered difficulties when trying to target locations in Israel on Facebook, Deputy Foreign Minister Tzipi Hotovely reached out to Facebook to demand an explanation. Facebook was quick to respond. In a letter to Hotovely, Jordana Cutler, a former adviser to Prime Minister Benjamin Netanyahu now tasked with handling the tech giant’s relations with the Israeli government, wrote that Facebook agreed that “a commercial business should not define the borders of any country” and announced the problematic map excluding the newer neighborhoods had been removed from the site. 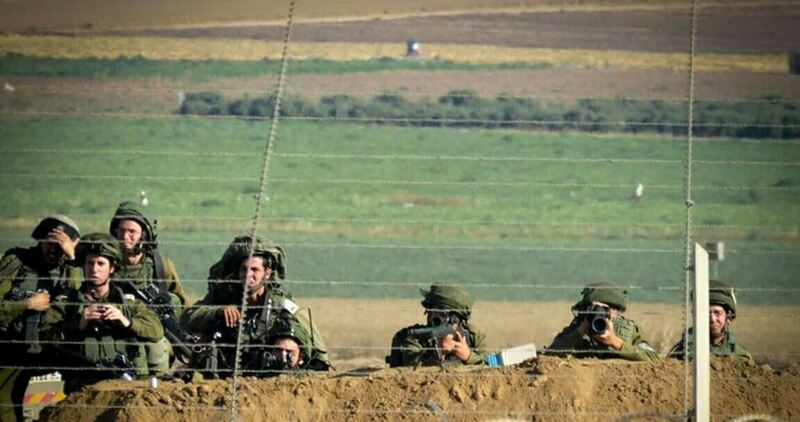 Israeli forces on Sunday morning intensified military presence around Eshkol settlement council, near Gaza borders under the security pretext. According to the Hebrew-speaking Walla news site, a round of military checkpoints was pitched around Eshkol council due to an unidentified security-threatening event. No details were revealed on the nature of the alleged event. Vehicles and civilians passing through the area have been subjected to intensive searches. 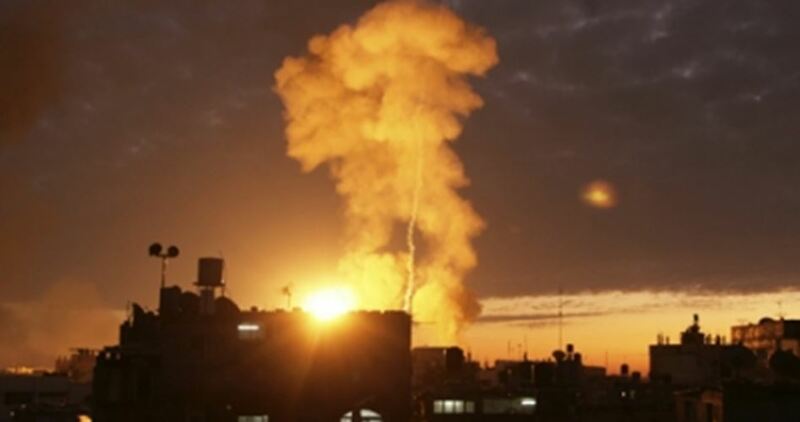 A few hours earlier, at daybreak, Israeli warplanes struck the blockaded Gaza Strip and its vicinities. Heavy material damage was wrought on civilian homes and properties by the offensive. The Israeli military announced on Sunday that it destroyed a tunnel dug by the Palestinian Hamas group in Gaza that was aimed at carrying out cross-border attacks. “On the basis of quality intelligence and groundbreaking technology, Israel is destroying Hamas tunnels one-by-one,” Israeli Defense Minister Avigdor Lieberman said in a statement. The tunnel had been cut off during the 2014 Gaza war and Hamas had tried to put it back into operation, a military spokesman said. It had been dug inside the Hamas-controlled enclave several hundred meters away from Israel’s border fence. The Israeli forces did not cross the border to render the tunnel inoperable but used a new technique, Lieutenant-Colonel Jonathan Conricus told reporters. “We did not use explosives. It (the tunnel) was filled with a certain material, with a certain compound,” Conricus said. He said Israel has been following Hamas’ progress for some time and that the targeted tunnels will now be impossible to rebuild. Conricus called it a “futile effort” by group and a waste of resources that could be used to aid Gaza residents. “Hamas has invested billions in its tunnel project and now it is sinking in the sand,” Lieberman added. Israel withdrew from Gaza in 2005, but still maintains tight control of its land and sea borders. Since then, Israel has been working on advanced counter-measures including a sensor-equipped underground wall along the 60-km (36-mile) Gaza border, a $1.1 billion project it aims to complete by mid-2019. This marks the fourth such tunnel Israel has destroyed over the past four months. Israel last went public with an operation against a Gaza tunnel in the area in January, saying that the secret passage had also run through neighboring Egypt. A national high committee, assembled by Palestinian factions in the Hamas-run Gaza Strip, announced on Saturday that it was coordinating a number of events that would culminate in a major a protest march that would demand the right of return for Palestinians. The events and demonstrations aim to reject any attempts to eliminate the Palestinian cause. It also seeks to lift the siege on the Gaza Strip, which Israel imposed 11 years ago. 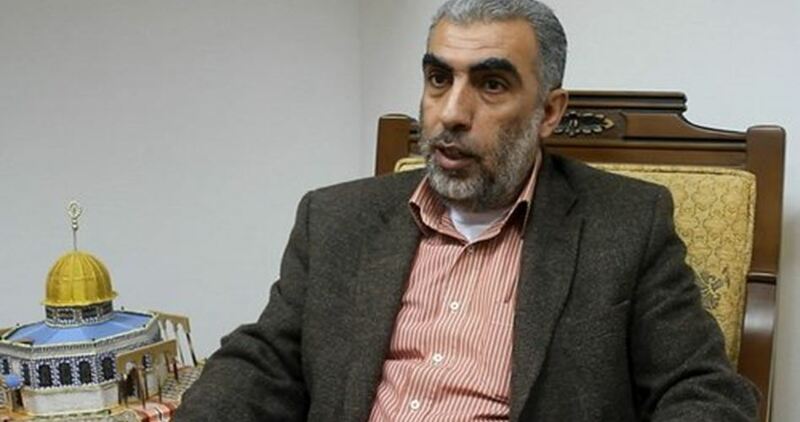 Member of the Central Committee of the Popular Front for the Liberation of Palestine (PFLP) Hussein Mansour said in a press conference held near the Karni crossing east of the Gaza Strip that there will be activities and mass movements. They are aimed at confronting the occupation forces and breaking away from the security situation Israel is trying to impose on the Palestinian people. He pointed out that the major rally will coincide with a broad regional and international political move, with the participation of individuals, institutions and Palestinian, Arab and international bodies supporting the cause. He added that preparations are underway for millions of Palestinians to participate from Gaza, the West Bank and diaspora. “We are facing a new stage in which our people decided to regain the initiative, armed with their rights and principles… to break the state of national stalemate and confront all circumstances and challenges,” the PFLP leader said. The resolution defined principles for reaching a final settlement and returning Palestinian refugees to their homes. He called on the Palestinian masses to join in mobilizing mass movements and national events, sending a strong message that the people are united and steadfast where it concerns their rights. He called on the diaspora to also stage mass support campaigns. He also called on the official and non-official international institutions and the UN to shoulder their responsibilities by enforcing resolutions against Israel and end of the suffering of the Palestinian people. 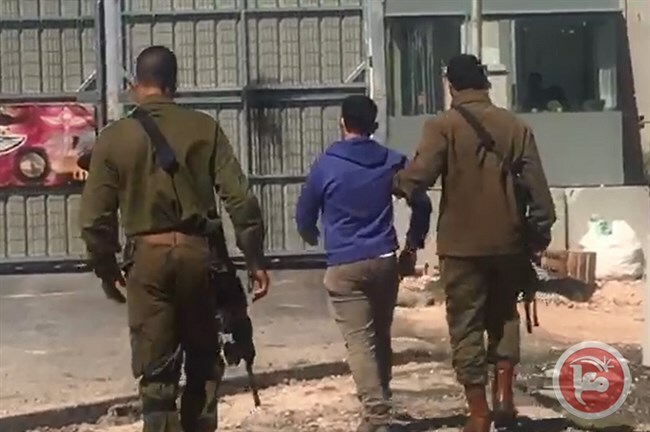 HEBRON (Ma’an) — Israeli soldiers on Saturday briefly detained a Ma’an TV cameraman while he was working in the southern occupied West Bank city of Hebron. Muhammad Hamamreh was on a shoot with reporter Duaa Yahiya when soldiers approached the pair and attempted to prevent them from filming. When Hamamreh and Yahiya refused, soldiers detained Hamamreh and took him inside a military base in the area. Yahiya remained on the scene and demanded Hamamreh’s release. He was released shortly after being detained for reasons unspecified by the soldiers. Sheikh Kamal al-Khatib, former deputy head of the Islamic Movement in the 1948 occupied lands, has warned that the growing daily desecration of the Aqsa Mosque by Jewish settlers could pave the way to Israel’s control over the Islamic holy site. 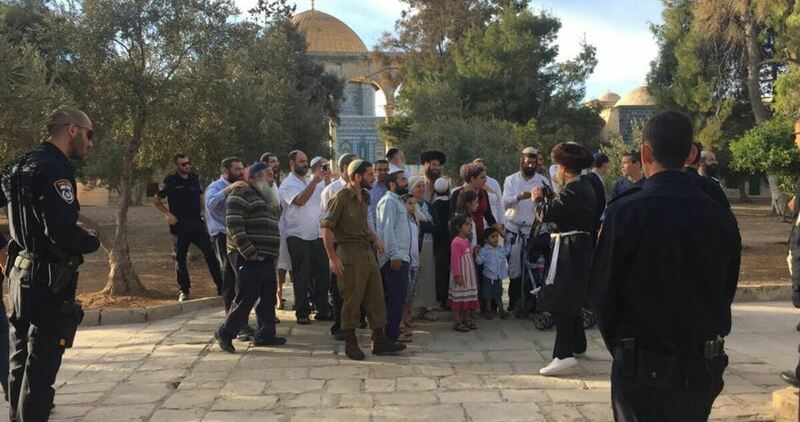 “The occupation government is trying to convey a message to our people and nation that the Aqsa Mosque is shared with you, until we reach a moment when they declare that the Mosque belongs to them and the Muslims have no right to it,” Sheikh Khatib stated on Sunday. “The official Arab, Islamic and Palestinian situation is in collusion with the Israeli establishment. There are parties who formulated the deal of the century and agreed to it, and this has encouraged the Israeli establishment to underestimate the insincere statements made [by these parties] towards the Aqsa Mosque because it knows for sure they were false and deceptive remarks and that the Arab parties accept the current situation in Jerusalem,” he underlined. However, he expressed his belief that the Palestinian people know well how to defend their national cause and when to show their anger, and are able to liberate their own land. “We are confident that the night of the occupation will be gone and that our people will never abandon their land and holy sites,” he said. Israeli military court extended the arrest of Ola Marshoud (21) for 7 days. Ola, a freelance journalist and a student at al-Najah University, had been arrested last Monday. #Palestine || Israeli military court extended the arrest of Ola Marshoud for 7 days . 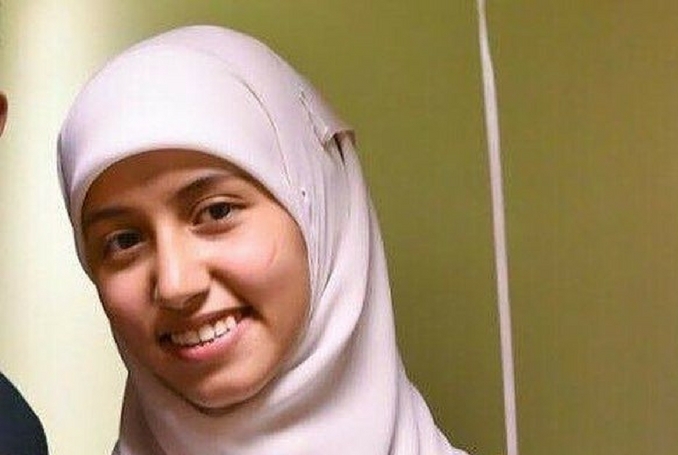 Family sources affirmed that Israeli authorities informed them that she was detained 24 hours after being summoned for investigation in Hawara detention center, south of Nablus. Marshoud’s parents are living in Saudi Arabia, while their two girls and son are studying at al-Najah University in Nablus in the West Bank. 340 Palestinian university students were arrested in Israeli jails ,Minister of Education Sabri Sidem said. 340 Palestinian university students are currently held in Israeli jails, while nine schoolchildren were killed and 603 others were injured in 2017 by the Israeli occupation forces, official Palestinian sources said.